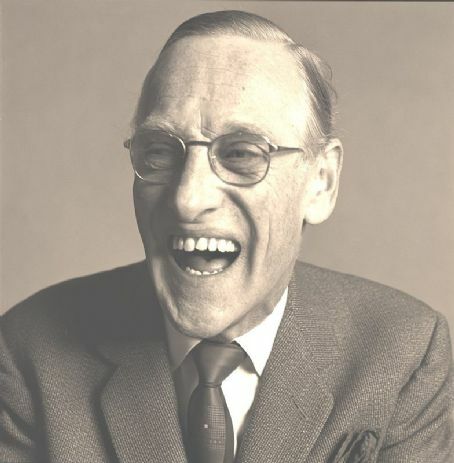 Henry 'Wilfrid' Brambell was born today, March 22, in 1912. He was an Irish film and television actor best known for his role in the British television series Steptoe and Son (the original version of the American show, Sanford and Son). He also performed alongside the Beatles in their film A Hard Day's Night, playing Paul McCartney's fictional grandfather. Brambell was born in Dublin, the youngest of three sons born to a cashier at the Guinness Brewery, and his wife, a former opera singer. His first appearance was as a child, entertaining the wounded troops during the First World War. After leaving school, he worked part-time as a reporter for The Irish Times and part-time as an actor at the Abbey Theatre before becoming a professional actor for the Gate Theatre. He also did repertory at Swansea, Bristol, and Chesterfield. In the Second World War he joined the British military forces entertainment organization ENSA. Brambell had roles in film and television films from 1947, first appearing in Odd Man Out as a tram passenger (uncredited) in 1947. His television career began during the 1950s, when he was cast in small roles in three Nigel Kneale/Rudolph Cartier productions for BBC Television: as a drunk in The Quatermass Experiment (1953), as both an old man in a pub and later a prisoner in Nineteen Eighty-Four (1954) and as a tramp in Quatermass II (1955). All of these roles earned him a reputation for playing old men, though he was only in his forties at the time. He featured in many prominent theater roles. In 1966 he played Ebenezer Scrooge in a musical version of A Christmas Carol. This was adapted for radio the same year and appeared on Radio 2 on Christmas Eve. Brambell's booming baritone voice surprised many listeners: he played the role straight, true to the Dickens original, and not in the stereotype Albert Steptoe character. In 1971, he starred in the premiere of Eric Chappell's play, The Banana Box, in which he played Rooksby. This part was later renamed Rigsby for the TV adaptation called Rising Damp, with Leonard Rossiter replacing Brambell in the role. It was this ability to play old men that led to his casting in his best remembered role as Albert Steptoe, the irascible father in Steptoe and Son (his son Harold was played by Harry H. Corbett), a man who, when the series began, was said to be in his sixties, even though Brambell was only aged 49 in 1962 (13 years older than Corbett). The series began as a pilot on the BBC's Comedy Playhouse, and its success led to commission of a full series. It ran from 1962 to 1974 including a 5-year hiatus. A constant thread throughout the series was Albert being referred to by Harold as a "dirty old man," for example when he was eating pickled onions while taking a bath, and retrieving dropped ones from the bathwater. There were also two feature film spin-offs, a stage show and an American incarnation entitled Sanford and Son, some episodes of which were almost exact remakes of the original British scripts. 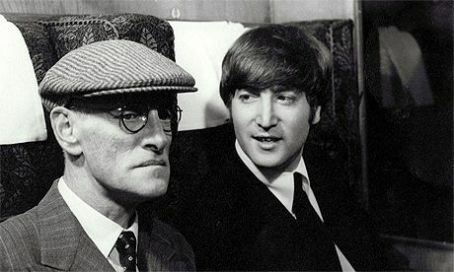 The success of Steptoe and Son made Brambell a high-profile figure on British television, and earned him the supporting role of Paul McCartney's grandfather in the Beatles' first film, A Hard Day's Night (1964). A running joke is made throughout the film of his character being "a very clean old man," in contrast to his being referred to as a "dirty old man" in Steptoe and Son. In real life, he was indeed nothing like his Steptoe persona, being dapper and well-spoken. Apart from his role as the older Steptoe, Brambell achieved recognition in many films. His performance in The Terence Davies Trilogy won him critical acclaim, far greater than any achieved for Steptoe and Son. Although he appears throughout the full 24-minute piece, Brambell does not speak a single word. After the final series of Steptoe and Son was made in 1974, Brambell had some guest roles in films and on television. 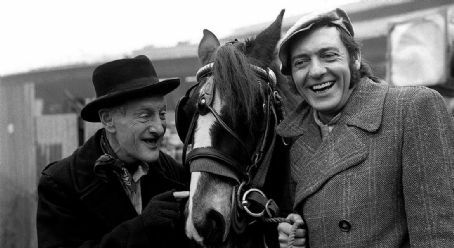 He and Harry H. Corbett also undertook a tour of Australia in 1977 in a Steptoe and Son stage show. In 1982 Brambell appeared on the BBC's television news paying tribute to Corbett after the latter's death from a heart attack. In 1983 Brambell appeared in Terence Davies's film Death and Transfiguration, playing a dying elderly man who finally comes to terms with his homosexuality. Brambell was homosexual at a time when it was impossible for public figures to be openly gay, not least because male homosexual acts were illegal in the UK until 1967. In 1962 he was arrested in a toilet in Shepherd's Bush for persistently importuning and given a conditional discharge. In 2012 he was alleged to have abused two boys aged 12–13 during the 1970s in Jersey. One of the boys was from the Haut de la Garenne children's home. He was married from 1948 to 1955, to Mary "Molly" Josephine Hall, but the relationship ended in divorce after she gave birth to the child of their lodger in 1953. Brambell died as a result of cancer at his home in Westminster, London, at age 72 on January 18, 1985.